The purpose of a tooth-colored dental filling is to restore function, which is affected either by decay, a cracked tooth, or a worn out tooth. 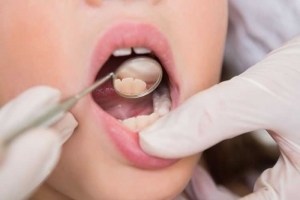 Fillings most typically require only one visit to the dentist. In order to determine decay, some popular methods are used such as: observation, x-rays, and lasers. X-rays are widely used but sometimes they may not detect smaller cavities. Lasers are useful in areas for molar teeth. If decay is detected and confirmed, the dentist will first need to numb your teeth and your gums in order to reduce tooth pain. The process of drilling out the decay begins, but there are some cases where a laser may be used to remove it. Your dentist will use a high speed drill, but when he or she reaches the second layer of the tooth, they may use one with a lower speed since it is a softer area of the tooth. At this point, your dentist will shape and prepare the space. Let us now see how the rest of the procedure takes place. The tooth will need to be isolated; this is an essential part of the process because it must avoid moisture. The area must be cleansed against bacteria and debris for restoration. 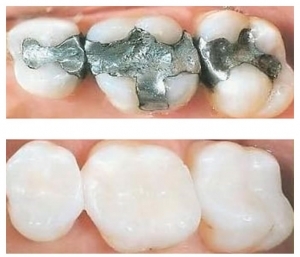 Fillings are made from various materials such as gold, ceramics, and amalgam, etc. If you have plans to undergo teeth whitening, it’s best to use ceramic, because it more closely matches the color of your teeth. There are various adhesives used for bonding with composite materials that are hardened with the use of light, reducing any future risk of decay. After filling, your dentist will polish the tooth and guide you with the necessary information on how you can properly clean them to prevent future decay and how you can adhere to new cleaning habits. Some people may experience sensitivity after getting a tooth filled. Some of the causes include, hot or cold foods or even the air. Make sure to call your dentist if you feel discomfort and to discuss what you are feeling so that next time the dentist may be able to either adjust the height properly, in order to ensure your bite is not affected, or use a different material. It may take a week or two in order to decrease sensitivity. But if for some reason it continues, make sure to get in touch with your dentist and schedule an appointment as soon as possible. For a good recovery make sure to brush your teeth daily, use dental floss, and maintain a balanced diet. Sometimes your gums have receded and gum reshaping is necessary. Go see your options with that procedure now.